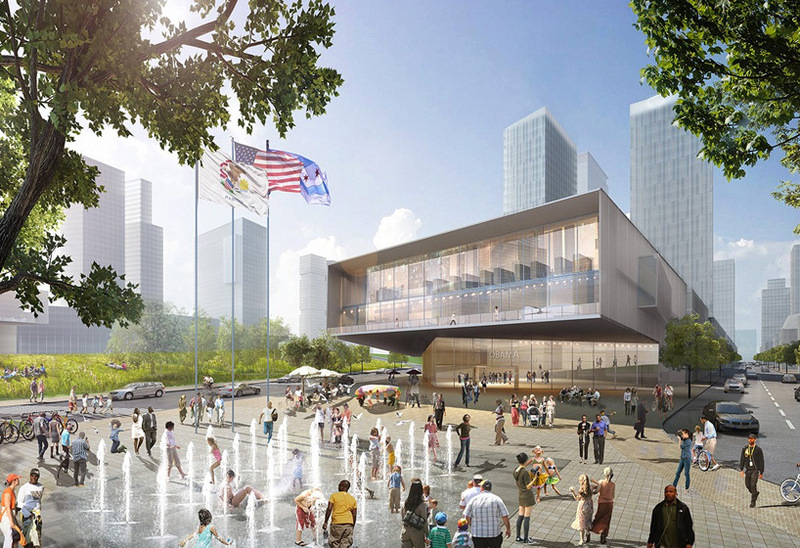 Proposed design for the Barack Obama Presidential Library in Chicago. Courtesy of The Imaginative Conservative. Over at The Imaginative Conservative, Bradley J. Birzer in his latest article has raised an excellent point, Are not Presidential Libraries, with all the cultural homage that surrounds them, treasonous to the spirit and nature of a Republic? One of former President Herbert Hoover’s most enduring marks on the culture, whose concern for his own legacy enjoyed thirty years to refurbish and rebuild it, the Presidential Library has become an elaborate monument to men, rather than to laws, as Mr. Birzer notes. 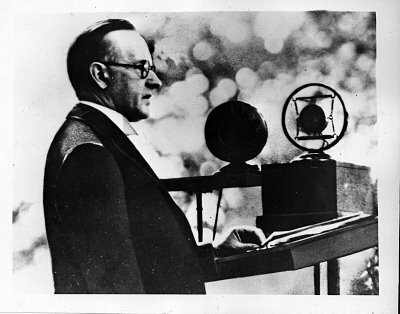 There is a reason Calvin Coolidge has no such tribute to his own greatness. He opposed it, even when his friends raised over $2 million, just as he prepared to leave the White House, for that very purpose. Coolidge thanked them and then gave the funds to the Clarke School for the Deaf, where Mrs. Coolidge had taught years before. Giving to the Clarke School continued a work both Coolidges believed in, a work of greater import and capable of accomplishing far more good than any palace to their own reputations. 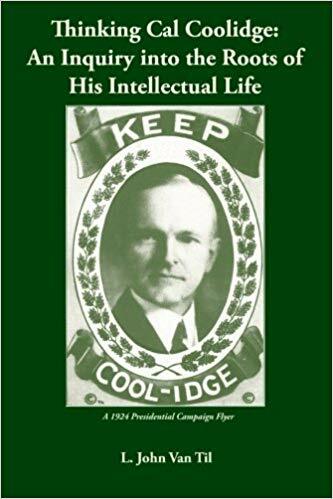 To this day, those in search of Mr. Coolidge’s legacy find him not in a massive mausoleum or enthroned in a polished, sleek, sprawling facility somewhere. Forbes Library, itself a bequest of a faithful public servant from Northampton, remains the only such local institution to house Presidential materials. Of course, the Library of Congress possesses a number of his papers from the White House years and there can be no match to the unassuming simplicity and quiet beauty of the Homestead in Plymouth Notch. 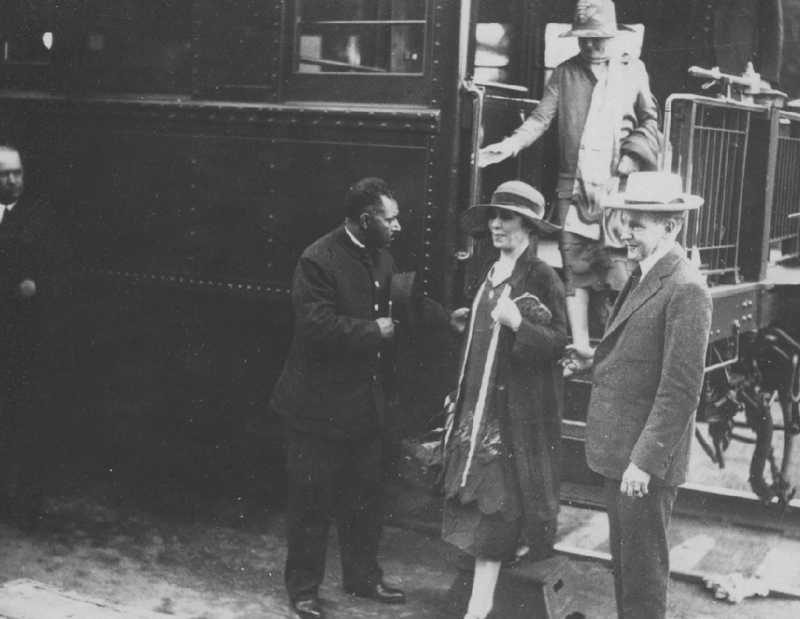 The Coolidges arriving in Saranac Lake, New York, summer of 1926. His legacy lives not in the Presidential Library system but in the the hills of his ancestors as much as in the hearts of many who still love him and respect his integrity, wry humor, ability, and the immortal wisdom of his political ideals. He was one of us rather than One above us. He responded when obligation called upon him, did what needed done, relinquished the mantel of power and returned to his farm. For that, if nothing else, he has our admiration and honor not for personal glory. Rather, he has our esteem for the dignity he reflected in good citizenship, exemplifying a responsibility we all must shoulder with like vigilance and endurance to remain a self-governing people, summoning a moral courage just as equal to our times as he was to his own. 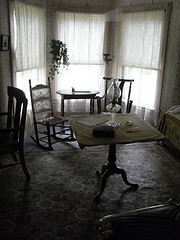 The Homestead Parlor, where Mr. Coolidge was sworn in as President by his father, a notary public, in the early hours of August 3, 1923. The virtues of Calvin Coolidge’s political philosophy are yet to be discovered by me, but no doubt the presidential library thing is out of control. I suspect large gifts to the library fund of a sitting president are another way to court influence at the White House. GW Bush, just a 5+ years out of office, has an enormous library edifice completed and open for business for nearly a year and a half. What’s the hurry? While these institutions are a great benefit to the historical record, the whole subject should not be on any agenda until the day after a president’s successor takes office.